@Seoul | Get Your Grub On! I was pretty excited to being sent on a business trip to Seoul, my first ever trip to Korea. One of my friends in Singapore introduced me to her cousin in Seoul who runs a traditional guesthouse in Bukchon (go check it out if you’re down there). He was so kind to meet me in Myeongdong which was close to my hotel and show me a famous noodle dumpling restaurant – ‘Myung Dong Kyo Ja’. The restaurant had only four dishes on their menu from which one is only available in summer. 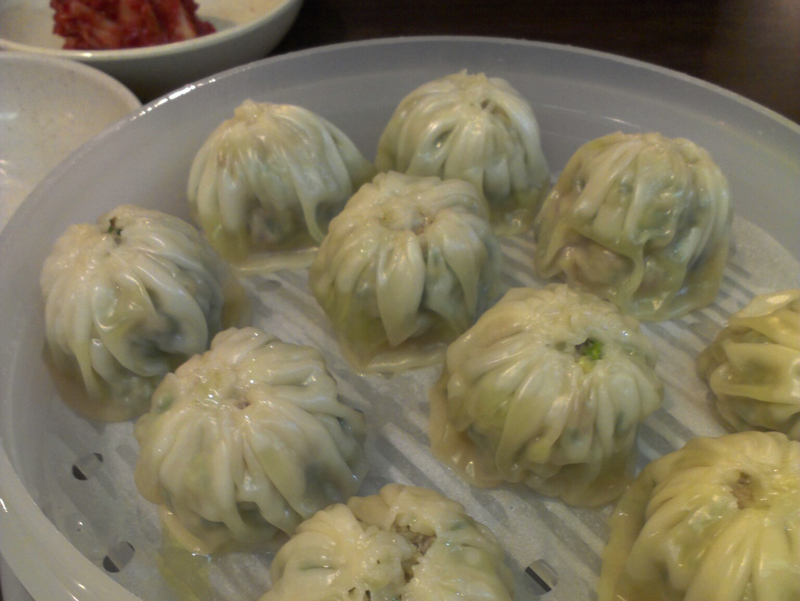 We started with the ‘Mandu‘ (Steamed Dumplings) which came in pretty clever plastic steam baskets. They were stuffed with a tasty and juicy mixture of minced pork meat, vegetables like leek and sesame oil. They were fairly big but with a nice texture. Aside we had ordered their ‘Kimchi‘ which was different to any other kimchi I had ever tried. The red paste was thick and packed with heaps of garlic. My host was impressed I ate so much of it but I really really liked it. As seconds I had a huge bowl of the ‘Kalguksu‘ (Dumpling Noodle Soup) which was perfect for the freezing weather outside. 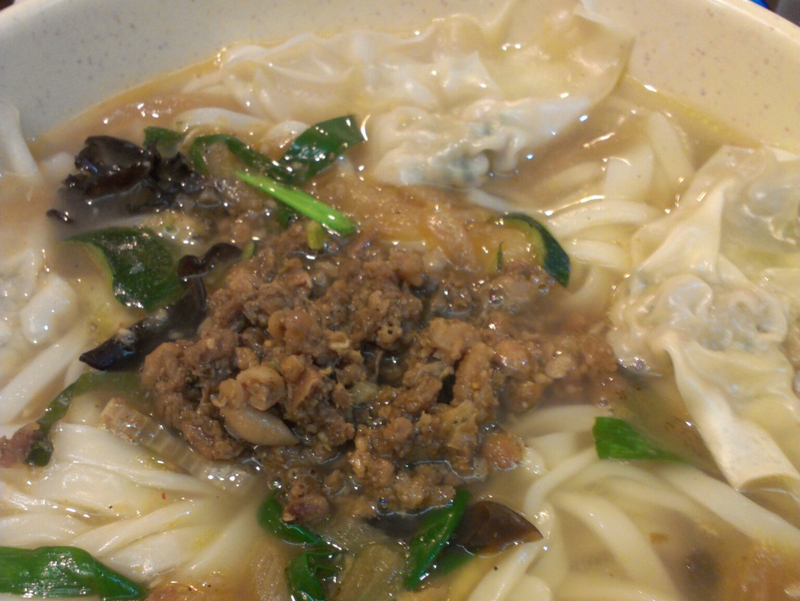 The noodles were cooked along with the soup until soft. The chicken broth was clear and light with lots of delicious goodies floating in it. There was meaty minced pork, chives and chopped mushrooms as well as a bunch of ‘Byeonsi Mandu‘ which are small pyramid shaped meat dumplings that tasted as great as the steamed huge ones from before. This was just a great and apparently very popular place and I was told one has to wait a rather long wait to eat here when coming during the peak hours. So summarizing the day, I was in a new amazing city, had some new delicious and down to earth Korean food and on top got a new friend. How good is that.